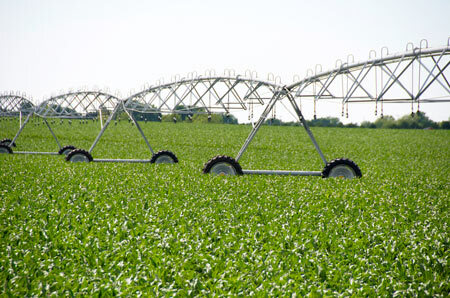 Mid-States Irrigation of Kearney, Nebraska is proud to offer T-L center pivot irrigation systems. For new center pivot installations, corner pivot irrigation systems, linear irrigation systems to repair and maintenance of existing center pivots. Mid States Irrigation of Kearney, NE. wants to help. With our many choices of center pivot products, you can rest assured that Mid States irrigation of Kearney can design exactly what you need. From start to finish, you can count on Mid States Irrigation to get the job done. T-L pivot irrigation service after the sale is very important to us also. Whether it is pivot service programs or pivot service during the growing season, Mid States Irrigation will be there for you. With two locations in Kearney and Loup City, NE. well stocked with pivot parts, Mid States Irrigation has the resources & manpower to keep your T-L irrigation pivots up and running.